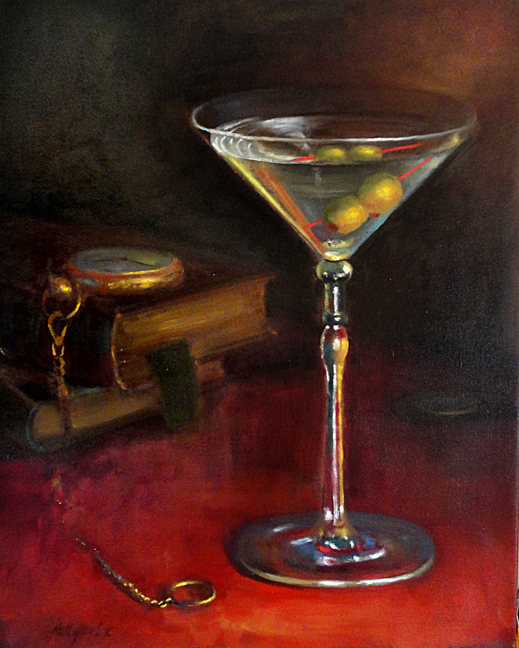 This original realist oil on canvas painting is seductive composition of a martini glass with a pocket watch resting on an old leather book, along with a few coins stacked. It’s painted in a classical realist style in subtle umber, white, red, green, blue, gold, cream, and gray tones. I’ve always enjoyed exploring this type of theatrical Baroque space within narrative still life painting.